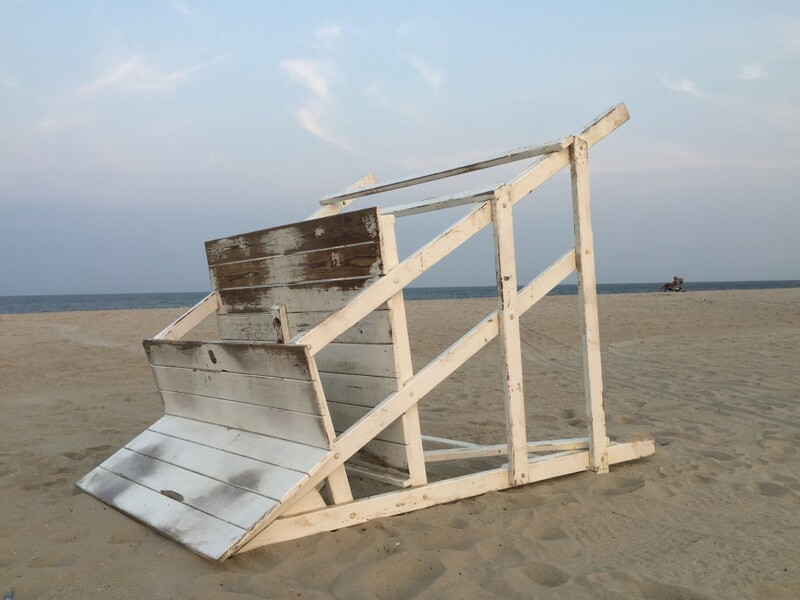 In all, borough lifeguards performed 46 rescues, including one in which an entire family was safely pulled from the surf, said Mayor Anthony Vaz. “There was one rescue where I actually cried afterward,” said borough resident Sandra Lazzaro, recalling a young boy who could not make it back to shore on his own. In a letter to the borough council, Beach Patrol Capt. Rob Connor said despite Aug. 29 and 30 being one of the busiest weekends in the beach patrol’s history, all swimmers were brought back to shore safely and none required extra medical attention after being rescued. “Thank God they were able to save everybody,” said Counciwoman Agnes Polhemus. Though the surf conditions improved by the midpoint of this week, strong rip current and an extremely strong current from the south was present last weekend through the beginning of this week. Lifeguards up and down the Jersey Shore performed rescues and kept swimmers close within sight. At Midway Beach in Seaside Park, local reporter Justin Auciello filmed a dramatic rescue of 12 people at once. Rip currents for Thursday were forecast to be low, according to the National Weather Service office in Mount Holly.